Finland’s finest export and homegrown metal stars CHILDREN OF BODOM have good news for all of us. Word is out that the melo-death outfit from Espoo, are currently working on a new album as you read this article. 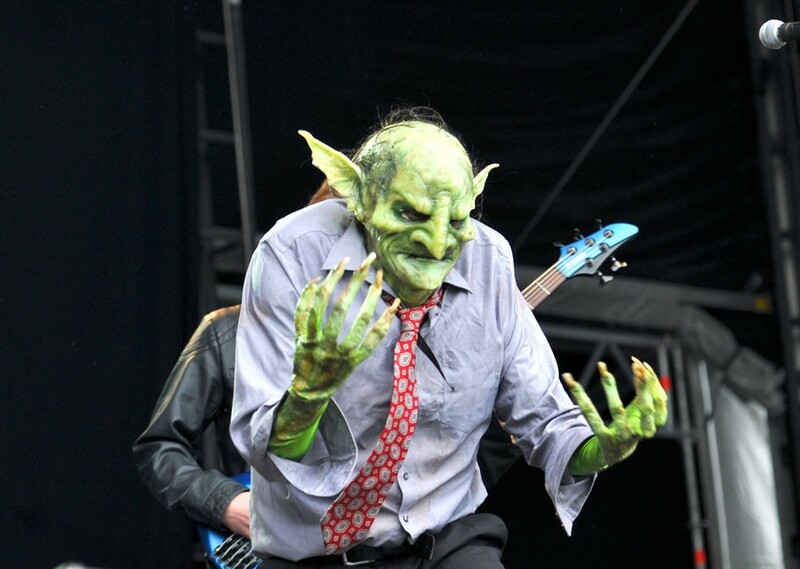 The forthcoming album will be their much anticipated one after 2015’s highly acclaimed,’I Worship Chaos‘. The guys just entered their own Danger Johnny Studio with producer Mikko Karmila to kick off the recordings of their brand new studio album. 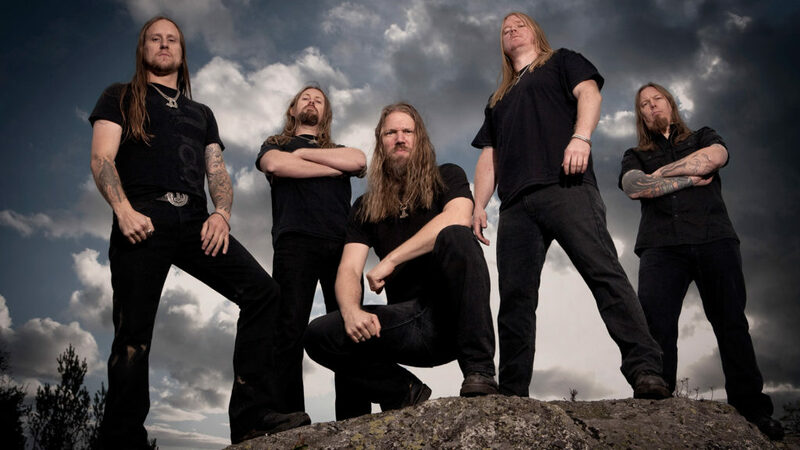 The upcoming album marks the continuation of their partnership with Mikko Karmila who worked both on ‘I Worship Chaos‘ and 2013’s ‘Halo Of Blood‘. 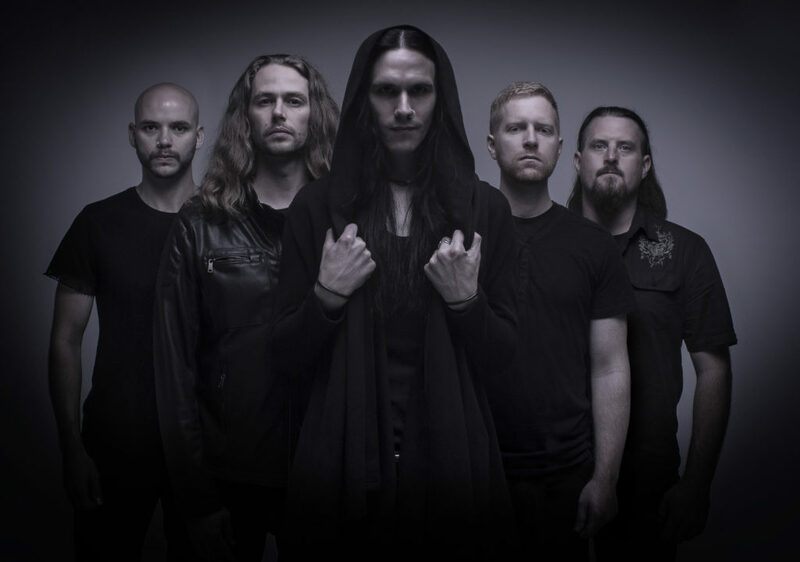 Australian progressive metal masters are riding high on their recent success of the all new album ‘Urn‘ which was released last October. It was my number one album if I had to make a list of best albums of 2017. Anyways, what else is new in the NeO camp? 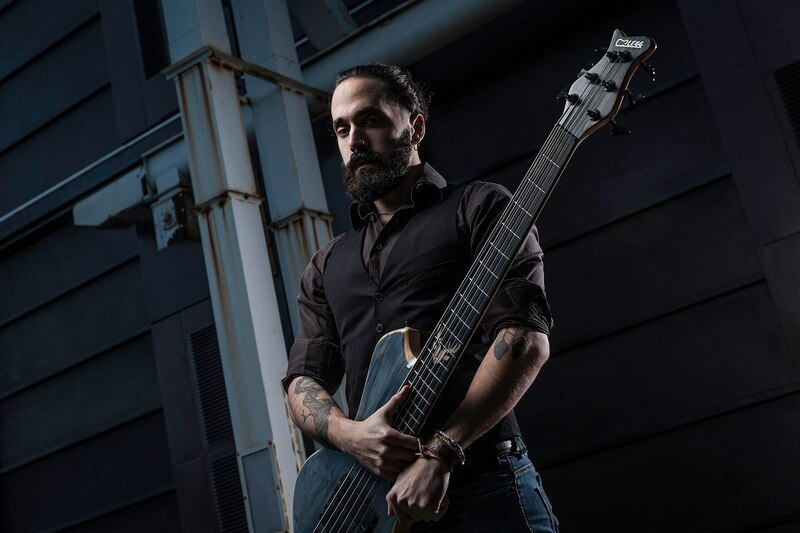 Well, NE OBLIVISCARIS has welcomed a new recruit to the fold, Martino Garattoni, who will fill in as the new bassist, after the band slammed the door on their former bassist Brendan “Cygnus” Brown, over allegations of domestic violence, last year. 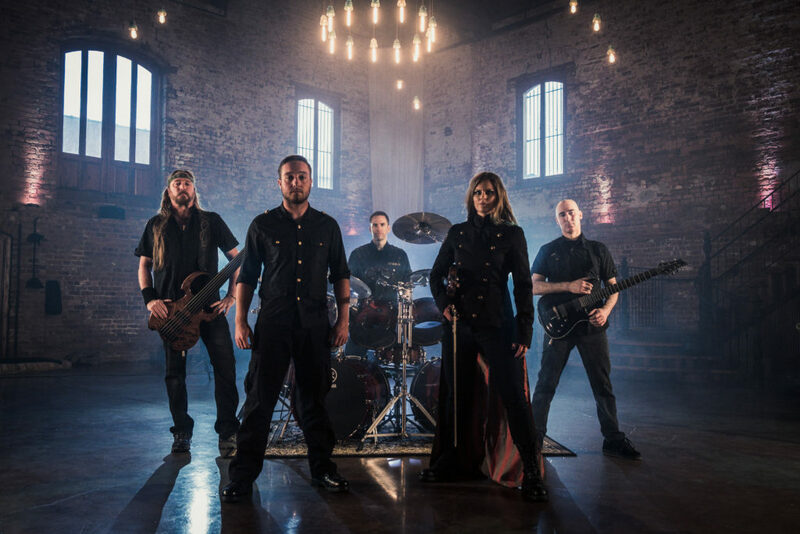 GONE IN APRIL, the symphonic melodic death metal ensemble from Canada-USA, releases a WW II inspired music video for ‘As Hope Welcomes Death‘, filmed and edited by Norwegian artist Thomas Mortveit. The song ‘As Hope Welcomes Death‘ is taken from the band’s sophomore album ‘Threads of Existence‘, recorded at WaveTransform Studio, USA. The jack of all trades when it comes to melo-death, ARCH ENEMY is back with yet another trademark and beautiful music video for their second single ‘The Eagle Flies Alone‘ off the upcoming album ‘Will To Power‘, which is due out on September 8 via Century Media Records worldwide and True Trooper Entertainment in Japan. The video was directed by Patric Ullaeus, who has previously helped bands like IN FLAMES, AMARANTHE, DIMMU BORGIR, EVERGREY etc. with his artistic and visionary directing skills. The video looks cool and everything that has went in to the making of this video is just epic and awe inspiring. From production, which I would say is one of the most classy, exhilarating and of grandeur nature ARCH ENEMY has ever done, to the lighting, camera angles and close up shots, no stones have been left un-turned, everything in the video has been done to pin point perfection. 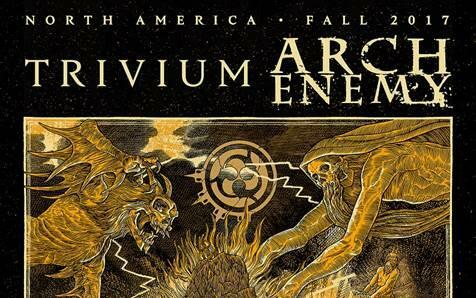 TRIVIUM and ARCH ENEMY are excited to announce plans for a co-headlining tour across North America later this Fall. Featuring support from English metalcore outfit WHILE SHE SLEEPS and New Jersey deathcore act FIT FOR AN AUTOPSY, the tour will kick off on October 27 in Orlando, FL and make its way across the U.S. and Canada before finishing on December 6 in Houston, TX. 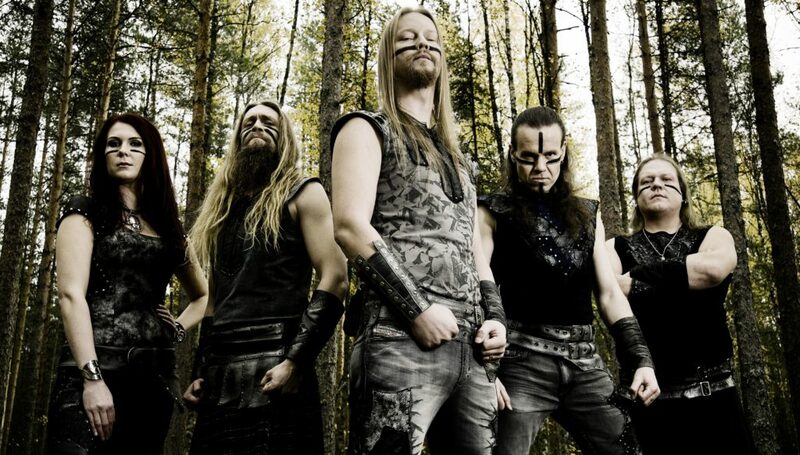 Hailing from the most metal country in the world, Finland, folk metallers or melodic death vikings ENSIFERUM are back to the grind with a new album entitled, ‘Two Paths‘, following the legacy and aura of their previous release ‘One Man Army‘ which was out back in 2015. On September 15, ENSIFERUM will release their new album worldwide via Metal Blade Records. The album is produced is Ansi Kippo and the master was recorded on tape for a true old school analog experience. Talk about being trve! Probably one of the biggest cards on the deck of melodic death metal, ARCH ENEMY has released their new official music video for the single, ‘The World Is Yours‘ from their all new upcoming tenth album in the catalog, entitled, ‘Will To Power‘ due out on September 8 through Century Media Records and via True Trooper Entertainment in Japan. The video was directed by Patric Ullaeus, who has previously helped bands like IN FLAMES, AMARANTHE, DIMMU BORGIR, EVERGREY etc. with his artistic and visionary directing skills. The video looks cool and everything that has went in to the making of this video is just epic and awe inspiring. From production, which I would say is one of the most classy, exhilarating and of grandeur nature ARCH ENEMY has ever done, to the lighting, camera angles and close up shots, no stones have been left un-turned, everything in the video has been done to pin point perfection.